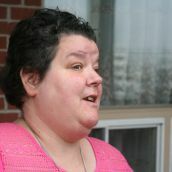 K'JIPUKTUK (HALIFAX) – There is only one word for what happened to Kathleen Latter a few months ago. Afterwards, even a thorough carpet cleaning by her husband didn't really do the job, she says. 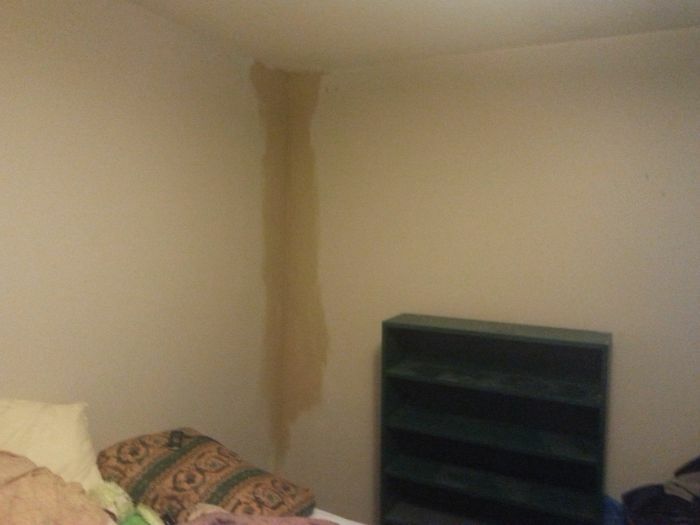 Now she would like the carpet removed, but her landlord refuses to do that, she says. 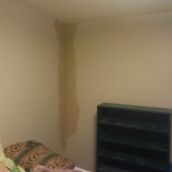 Her husband suffers from severe asthma, and ambulance calls have increased dramatically since the carpet got damaged. Her five-year old son's health is affected as well, Latter believes. Latter's landlord is MetCap Living. And a dirty carpet isn't the only problem. 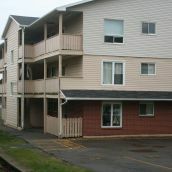 Unhealthy living conditions because of water damage, a lack of security and broken mailboxes are the kinds of issues Latter and other tenants of MetCap Living in North Dartmouth are facing all the time. MetCap is not listening to their complaints, they say, so they decided to invite the press into their apartments. Lisa Fairn, another MetCap tenant who lives in the same building as Latter, points to water damage in her bedroom and storage closet. “I have been getting sick a lot. I think there is mould behind that wall,” says Fairn. MetCap denies it, she adds. 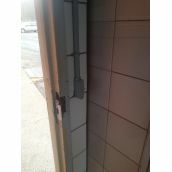 A lack of security in and around the apartment building is also a concern. “I know of cars being broken into, I know people siphoning gas, it's not safe,” says Fairn. “Sometimes the light between my place and my neighbour's place blows out and I am scared even going into my own door because I don't know who is nearby,” she adds. 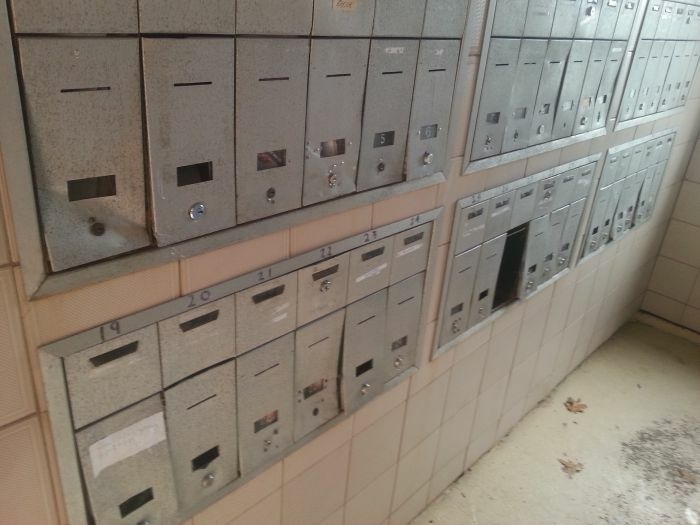 Broken mailboxes and a mail room that doesn't have a door that can be locked are also a major problem, tenants say. 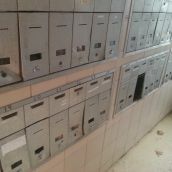 Latter tells the Halifax Media that cheques go missing and that at times people can be found sleeping in the mail room. 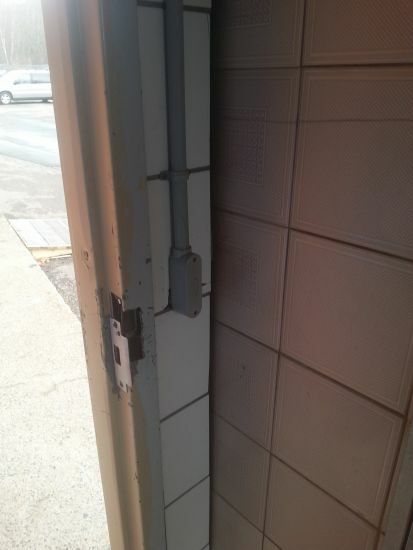 “We were promised new mailboxes when I moved in over a year ago,” says Latter. Shay Enxuga works with ACORN Nova Scotia. He helped organize the press event, which has been dubbed “the slumlord tour.” ACORN is a Canada-wide organization of low and moderate income members. 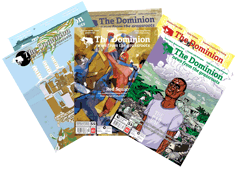 In Nova Scotia the anti-poverty group now has a presence in Halifax and Dartmouth. 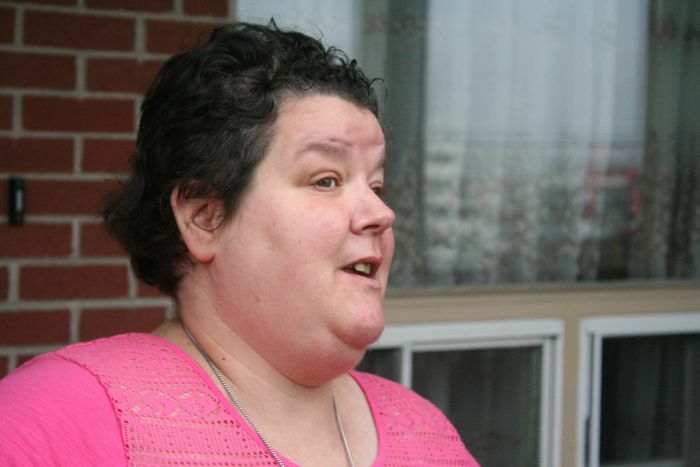 Minimum standards do exist for rental units, says Enxuga, pointing to municipal bylaws. But ACORN wants a more proactive system, where inspectors actually inspect on a regular basis and make sure that landlords keep apartments up to code, Enxuga says. “We find that because there is no such proactive system in place landlords like MetCap let the conditions deteriorate and don't listen to the tenants,” Enxuga argues. MetCap property manager Teddy Zaghloul did not return our request for comment. 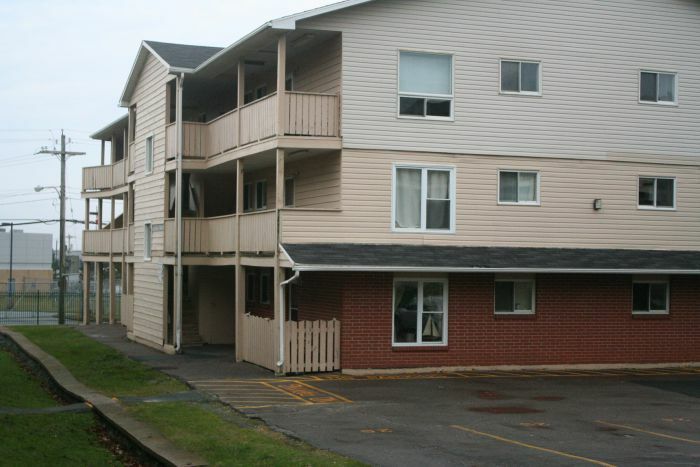 This Thursday Nova Scotia Acorn is hosting a Tenants Rights Townhall to discuss the many issues that low-income tenants deal with and explore solutions and alternatives.